Brightvision Wheels. Why Are Brightvision Parts The Best?. The small tap creates threads in a 1/16" pilot hole. Hand Tap Required for Our Small 1-72. We have been the Premier manufacturer of reproduction Redline Wheels and Parts since 2001. 6 sets of general lee car decals for 1/64 scale. These are water slide decals. 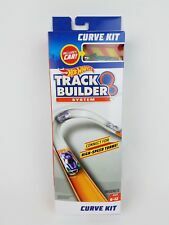 Works great for Hot Wheels 2018 Car Culture and HW Premium Line cards. 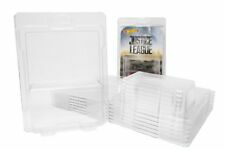 Set of10 protective cases - item model # 17403 Clear. Made in USA! Drill bits you can use with your cordless drill! The two drill bits included allow you to drill a pilot hole for the screws with the smaller bit, then remove the head of the factory rivet with the larger bit. 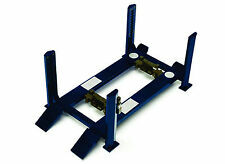 Includes a special high-torque hex key to drive the rivets into a 5/64" pilot hole. Plus Bonus High-Torque Hex Wrench. with 20 Micro Washers. Forty Black Alloy Steel. Where Details Matter! We have been the Premier manufacturer of reproduction Redline Wheels and Parts since 2001. Rivet Restoration System. Factory Rivet Removal Drill Bit Set for 1-72 Rivets. Screw-In 1-72 Rivet Tap for Threading Pilot Holes. Tap Handle for Screw-In Rivet Tap. Includes a special high-torque hex key to drive the rivets into the threaded 1/16" pilot hole. DINKY TOYS REPLACEMENT MISSILE FOR #665 HONEST JOHN. COMPLETE WITH MARKINGS. NO.665 HONEST JOHN MISSILE LAUNCHER. Rivets require a hex key to drive the rivets into a 5/64" or #51 pilot hole. Includes special High-torque hex key wrench! One Hundred Stainless Steel. SHORT LENGTH. Where Details Matter! We have been the Premier manufacturer of reproduction Redline Wheels and Parts since 2001. 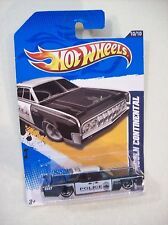 Works great for Hot Wheels 2018 Car Culture and HW Premium Line cards. 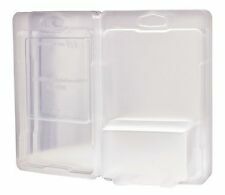 Set of20 protective cases - item model # 17403 Clear. Made in USA! Brightvision Wheels. Why Are Brightvision Wheels The Best?. The Highest Quality Reproduction Redline Wheels! These wheels fit the original redlines from 1968 to 1970. They are typical wheels for the Hot Heap, Boss Hoss, Heavy Chevy, TNT Bird, Light My Firebird, Brabham Repco, as well as many other castings. GPD DECALS F1 1/18 1999 Williams FW21 Schumacher Zanardi "Race Livery Fill-In"
Formula 1 1/18 Scale Decals designed for the following PMA Williams FW21 diecasts: (180 990005) #5 Alex Zanardi (180 990006) #6 Ralf Schumacher Printed in Italy, Grand Precision Decals (GPD) are high quality silk-screened waterslide decals Included are decals for both the car & the driver figure (helmet & suit) Photos show completed conversion with actual decals Use "Add to Cart" option to take advantage of FREE SHIPPING on additional decals! Don't want to convert yourself? We have diecasts for sale with the conversion decals applied. 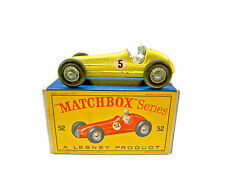 MATCHBOX LESNEY. FOR CRANES AND TRUCKS. CHECK OUT OTHER TIRES AND PARTS. Rivets require a hex key to drive the rivets into a 5/64" or #51 pilot hole. One Hundred Stainless Steel. Where Details Matter! We have been the Premier manufacturer of reproduction Redline Wheels and Parts since 2001. Factory Rivet Removal Drill Bit Set for 2-56 rivets. Screw-In 2-56 Rivet Tap for Threading Pilot Holes. Tap Handle for Screw-In Rivet Tap. Includes a special high-torque hex key to drive the rivets into the threaded 5/64" pilot hole. 1/25 MINI DRILL PRESS. CUSTOM MADE FROM 3 D PRINTER RESIN DESIGN. THIS IS NOT A TOY. HAND PAINTED RED. ALL OTHER ITEM IN PICTURE'S ARE NOT INCLUDED. MADE IN USA. You are purchasing one set of the stickers shown in the above picture. 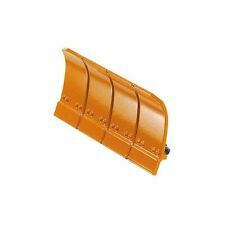 They are for the Doepke bulldozer construction vehicle. Please use ruler in picture for sizing information. Printed on peel and stick mylar and diecut around the graphic so no trimming is necessary. We have the largest online selection of toy parts and decals available so be sure to check my other listings for all of your toy restoration needs. Unless specifically noted, all of my decals/stickers are now available ONLY as peel and stick items, no more water transfers. Thanks to Ebay's rules regarding shipping with tracking requirements, I no longer will mail decals in an envelope with a stamp. GPD DECALS F1 1/18 1994 Williams FW16 Hill Senna Mansell "Race Livery Fill-In"
Formula 1 1/18 Scale Decals designed for the following PMA Williams FW16 diecasts: (180 940001) #0 Damon Hill (180 940002) #2 Ayrton Senna (180 940102) #2 Nigel Mansell (180 940103) #2 David Coulthard Printed in Italy, Grand Precision Decals (GPD) are high quality silk-screened waterslide decals. Included are decals for both the car & the driver figure (helmet & suit), including Nigel Mansell's helmet. Photos show completed conversion with actual decals. 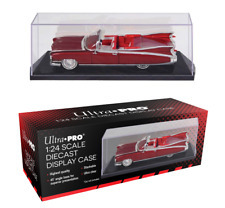 Ultra Pro 1:24 Scale Diecast Car Display Case. 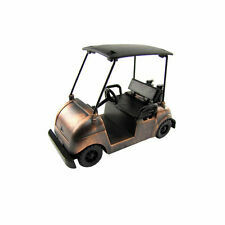 Heavy-duty acrylic display features a 45 degree angled black base with an ultra clear cover for superior presentation. Heavy Duty Acrylic - With Slanted Black Base. The small tap creates threads in a 1/16" pilot hole. We have been the Premier manufacturer of reproduction Redline Wheels and Parts since 2001. Our passion for accuracy, details and consistency is evident in everything we make. Rivets require a hex key to drive the rivets into a 5/64" pilot hole. Forty Black Alloy Steel. Where Details Matter! We have been the Premier manufacturer of reproduction Redline Wheels and Parts since 2001. We will provide a form for you to fill out. Includes one back drop with two fold out walls and floor piece. The small tap creates threads in a 5/64" pilot hole. When running the tap into the pilot hole, always use oil on the thread of the tap for fluid threading action. You're done threading the hole! 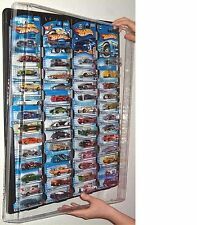 This size works best for Hot Wheels and Matchbox produced after 1977. Brightvision Wheels. Why Are Brightvision Parts The Best?. The small tap creates threads in a 5/64" pilot hole. Hand Tap Required for Our Large 2-56. We have been the Premier manufacturer of reproduction Redline Wheels and Parts since 2001. Includes a special High-Torque hex key to drive the rivets into a 1/16" pilot hole. The two drill bits included allow you to drill a pilot hole for the screws with the smaller bit, then remove the head of the factory rivet with the larger bit. Throw away big 2x4s, cardboard boxes and everything else you are using to move your finish line as this kit solves the issues.